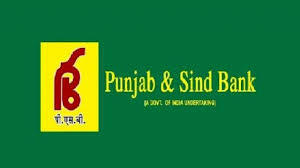 Punjab & Sind Bank Jobs Recruitment Notification 2019.Punjab & Sind Bank inviting applications for the positions of Hockey Player.Interested and Eligible candidates can apply for the positions. Selected candidates will get Rs. 2000/- (1st year), Rs. 2500/- (2nd year), Rs. 3000/- (3rd year) from the organization. Interested and eligible candidates can download in the prescribed form from website psbindia.com and send their application form on or before 18-04-2019. The Prescribed format along with the photocopy of all relevant documents should be submitted to the address mentioned below.